Gum disease is one of the most common dental health concerns (second only to tooth decay). However, it isn’t prominent because it’s inevitable or difficult to prevent; on the contrary, many patients in North Hollywood have to deal with gum disease because they failed to recognize the early warning signs. This often gives gum disease the time it needs to progress into a much more serious concern. However, if you recognize the signs, then you can address your gum disease as soon as possible and reduce your risks of experiencing severe complications (including tooth loss). Once you notice these symptoms, they indicate that gingivitis is well underway. 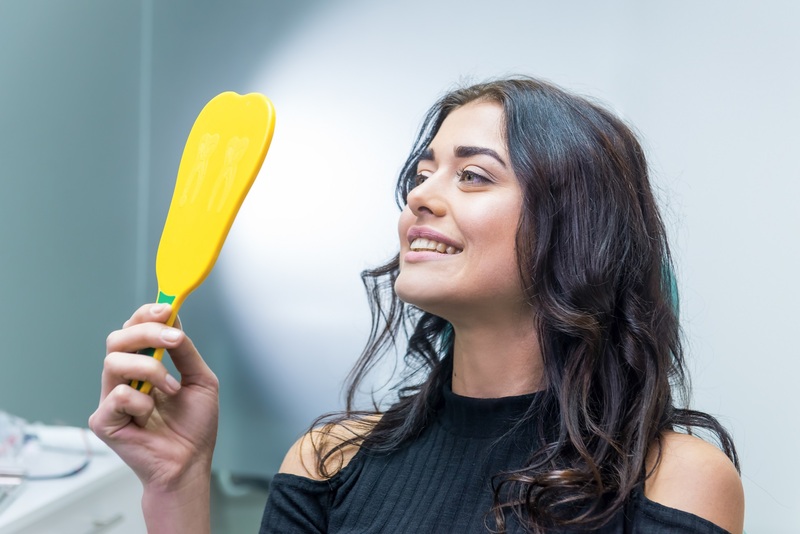 If you ignore them and don’t seek treatment as soon as possible, then you may be at a significantly higher risk of developing severe gum disease and suffering the consequences, such as tooth loss. If you do notice that your gums have become afflicted with gingivitis, then the best way to save your smile is to visit your dentist for professional care and attention as soon as possible. If treated early enough, gingivitis may be reversed with periodontal cleaning (or scaling and root planing). If it’s too severe to be reversed, then periodontal cleaning can be the first step in controlling your periodontal disease and preventing it from growing worse. Before gum disease becomes a significant threat to your smile, you can determine if you need treatment by watching out for these signs. For more information, schedule a consultation by calling Modern Smile in North Hollywood, CA, today at 818-763-9353. We also proudly serve patients who live in Burbank, Toluca Lake, and all surrounding communities. What Does Scaling and Root Planing Mean? 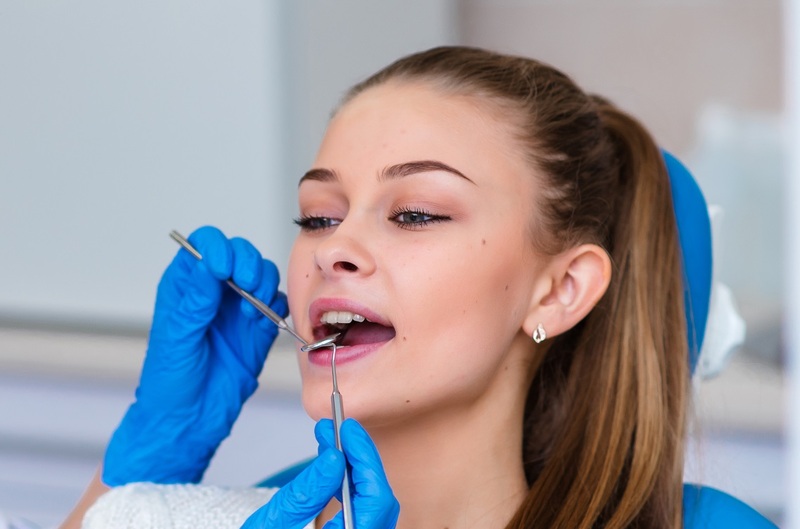 There is more than one type of professional dental cleaning, though standard cleaning (known as prophylaxis) is the only one that every patient needs to receive routinely. Another form of cleaning, known as deep cleaning (or scaling and root planing), can be recommended if you’re at an especially high risk for gum disease or have already begun to show signs of gingivitis. For patients in North Hollywood, CA, scaling and root planing could be the best way to stop gingivitis in its tracks and restore your good periodontal health before your gum disease grows worse. Dental cleaning is the process of professionally cleaning harmful plaque and tartar from your teeth surfaces. Generally, this prevents the bacteria in the biofilms from having time to attack your teeth and gums. However, if certain bacteria work their underneath your gums between dental visits, then regular cleaning won’t be able to remove them. From underneath your gums, the bacteria settle on your teeth roots, causing inflammation and irritation that causes the gums to separate. 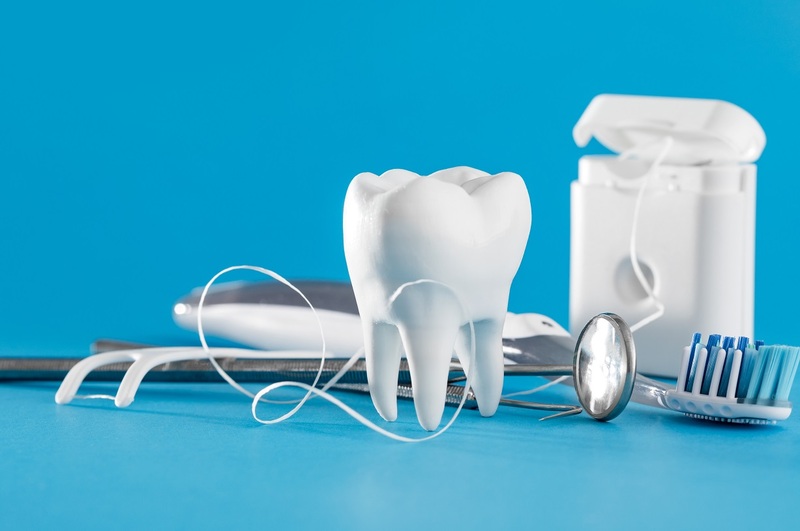 To stop this separation and the progression of your gum disease, we can remove the bacterial plaque and tartar from your teeth roots by scaling and planing them. Deep periodontal cleaning involves accessing your teeth roots, which aren’t as easily accessible as the visible crowns of your teeth. First, your dentist will carefully clean the films of plaque and tartar from your teeth roots to remove the cause of your gum disease. Then, your dentist will carefully smooth the root surfaces to make it more difficult for plaque to accumulate on them until your next dental visit. After your procedure is complete, your gums can heal and reattach to your teeth roots, restoring your good periodontal and oral health. With personalized scaling and root planing, you can effectively restore your good periodontal health before gum disease becomes more significant. For more information, schedule a consultation by calling Modern Smile in North Hollywood, CA, today at 818-763-9353. We also proudly serve patients who live in Burbank, Toluca Lake, and all surrounding communities. As one of the most common chronic conditions that affect patients’ smiles, gum disease is often one of the most worrisome. For patients in North Hollywood, CA, untreated gum disease is the leading cause of adult tooth loss, though its potential effects can reach beyond your oral health. Today, we examine why gum disease can often lead to a lifetime of oral health complications (and more), and why addressing it as early as possible is the best way to avoid those complications. When gum disease first develops, it begins a bacteria-caused infection in your gum tissues. Known as gingivitis, this first stage of the disease may be reversed if treated promptly. Periodontal cleaning (also known as scaling and root planing) allows your dentist to carefully remove harmful oral bacteria your teeth roots and underneath your gums, allowing the gums to heal. When gingivitis progresses, however, the damage it causes is much more significant and its presence can no longer be reversed. The good news is that gum disease can be controlled, even if it can’t be cured. With proper periodontal cleaning and routine maintenance, your dentist can help you stop it from growing worse. However, patients who don’t address it often experience tooth loss as a result of gum disease’s presence, which erodes the periodontal tissues and jawbone structure that support your teeth. Fortunately, you can replace your teeth and rebuild your smile after getting your gum disease under control with expert care. The damage that gum disease causes is due in part to the presence of oral bacteria themselves, but mainly, the inflammation that results as certain types of bacteria hijacking your immune system. These microbes produce molecules that stop your immune system from shutting down inflammation. As a result, periodontal tissues continue to swell in the presence of gum disease. In worst-case scenarios, these same microbes can enter the bloodstream through bleeding, diseased gums, raising your risks of other chronic inflammatory conditions such as heart disease, rheumatoid arthritis, diabetes, and more. Gum disease isn’t just common; it can also be a significant threat to your smile and the rest of your systemic health if you don’t address it as soon as possible. For more information about how to prevent gum disease from affecting you for life, schedule a consultation by calling Modern Smile in North Hollywood, CA, today at 818-763-9353. We also proudly serve patients who live in Burbank, Toluca Lake, and all surrounding communities. As the most frequent cause of adult tooth loss, gum disease can become one of the biggest threats to your smile if not prevented or controlled properly. That’s why your hygienist carefully cleans your gum line as well as your teeth during your dental cleanings and advises you to do the same when brushing and flossing them at home. However, there are some issues related to the health and integrity of your teeth that can directly impact your risks of gum disease, as well. Today, we examine a few of these issues, and how patients in North Hollywood, CA, can mitigate gum disease risks by addressing them. Effectively cleaning your teeth and gums requires routinely cleaning away the harmful oral bacteria and food particles that cling to them. When your teeth are not aligned properly, your toothbrush and floss are less effective at removing bacteria and debris. This makes it harder to remove them at home and increases the chances that they can lead to gum disease before your next dental checkup and cleaning appointment. Fortunately, you may be able to correct your tooth misalignment comfortably and discreetly with custom-designed Invisalign® aligners. When you lose one or more teeth, there are several different but equally dramatic effects on your oral health. For instance, your remaining teeth lose some support and can shift out of alignment, making your bite less able to function comfortably. Tooth loss can also create areas where oral bacteria can accumulate far out of reach of your toothbrush and floss, dramatically raising your risk of severe gum disease and further tooth loss. To reduce those risks, your dentist may likely recommend replacing your lost teeth with highly lifelike dental implants. In many cases, the health and alignment of your teeth can have a significant impact on your overall risk of developing gum disease. For more information, schedule a consultation by calling Modern Smile in North Hollywood, CA, today at 818-763-9353. We also proudly serve patients who live in Burbank, Toluca Lake, and all surrounding communities. As your partner in keeping your smile healthy for life, your dentist worries about the threats that can endanger your oral health. That’s why attending every checkup and cleaning appointment is important. Your visits allow your dentist to ensure that your hygiene efforts at home are working and that issues like gum disease aren’t already becoming a serious threat. For example, untreated gum disease is one of the leading causes of tooth loss for patients in North Hollywood. However, the damage that gum disease can cause goes even further than tooth loss, and its potential impact on your overall health is another important reason why your dentist worries about it. Gum disease, also known as periodontal disease, goes through several stages before tooth loss becomes an imminent threat. It begins as gingivitis, an infection in your gums caused by harmful oral bacteria that settle on and underneath your gum tissues. As gum disease grows worse, it destroys the tissues, ligaments, and jawbone structures that support your teeth. Patients who don’t seek treatment until its severe stages often lose one or more teeth due to this level of destruction. In addition to treating the disease and controlling it with lifelong periodontal maintenance, rebuilding their smiles also requires a custom-designed prosthesis to replace their missing teeth. The more severe gum disease becomes, the more involved treating it will be. In severe cases, the inflammation that gum disease-causing oral bacteria incite can also pose a threat to your systemic wellbeing, which makes controlling it early or preventing it altogether even more important. When your gums are diseased, they bleed, and the oral bacteria that cause your gums to become inflamed can also lead to inflammation elsewhere when they enter your bloodstream. Because chronic, unchecked inflammation is a risk factor in issues like cardiovascular disease, rheumatoid arthritis, diabetes, and more, untreated gum disease can raise your risks for such conditions, as well. Helping you stay on top of your gum disease risks not only helps you better prevent tooth loss, but also a host of other risks that the disease can pose to your overall health. For more information, schedule a consultation by calling Modern Smile in North Hollywood, CA, today at 818-763-9353. We also proudly serve patients who live in Burbank, Toluca Lake, and all surrounding communities. Is There a Sure Way to Prevent Gum Disease? Gum disease is one of the most common dental health issues, which can make some patients believe it’s inevitable. However, despite the fact that it’s common, it’s highly preventable. Even if you develop gum disease and can’t cure it, you can control to prevent more serious complications from developing (including tooth loss). Today, we examine how you can boost your chances of preventing gum disease by making just a few small changes to your daily routine. Brush your gums – Brushing your teeth at least twice a day is a given, but you may forget to pay special attention to your gum line. Every time you clean your teeth, angle your toothbrush at a 45-degree angle and carefully brush away the plaque all along your gum line. Also, be sure to floss at least once every day, taking care to clean the gum tissues between your teeth without traumatizing the tissues with your floss. Don’t use tobacco – Whether you smoke it or chew it, tobacco is one of the most significant risk factors in developing severe gum disease (as well as all forms of cancer). If you use tobacco, then stop, or you’re almost guaranteed to develop gum disease sooner or later. Use antibacterial mouthwash – Gum disease is caused by excessive oral bacteria, so in addition to brushing them away, use a mouthwash designed specifically to neutralize the microbes. Your dentist can recommend the most effective type and brand for your needs and preferences. There is no guarantee that you’ll never develop gum disease, but with these few steps, you can greatly improve your chances of successfully preventing it. For more information, schedule a consultation by calling Modern Smile in North Hollywood, CA, today at 818-763-9353. We also proudly serve patients who live in Burbank, Toluca Lake, and all surrounding communities. Why Do So Many People Get Gum Disease? With the advanced state of dentistry today, it may seem like a wonder that disease like gum disease are still so prevalent. Dentists have the tools to help patients prevent or manage nearly any dental issue, but gum disease still affects a large majority of patients across the world. Today, we explore why by examining how gum disease forms, how it becomes so severe, and why paying more attention to your periodontal health matters so much. Gum disease is a progressive disease, and in the very beginning, it takes the form of a seemingly minor infection in your gums. This infection, known as gingivitis, is caused by excessive oral bacteria working their way underneath your gums. The bacteria release harmful toxins to irritate the tissue, causing it separate from your teeth so they can accumulate in the pockets. Though gingivitis is highly destructive (the infection destroys your gums), it isn’t always detected right away. That’s because the redness, inflammation, and bleeding are often ignored or just not taken seriously. The more you ignore these symptoms, the more damage gingivitis can cause, and before long, it can progress into more serious gum disease. By the time many patients seek treatment for gum disease, their gum tissue and jawbone structure have been so affected by gum disease that tooth loss or extraction is inevitable. Yet, missing teeth are only the beginning; unchecked inflammation related to gum disease can also heighten your risks for other chronic inflammatory diseases, including heart disease and failure. If you’re among the many people who experience gum disease, then you may still have time to protect your smile (and more) if you seek treatment as soon as possible. To learn more, schedule a consultation by calling Modern Smile in North Hollywood, CA, today at 818-763-9353. We also proudly serve patients who live in Burbank, Toluca Lake, and all surrounding communities. What Happens When Gingivitis Develops? 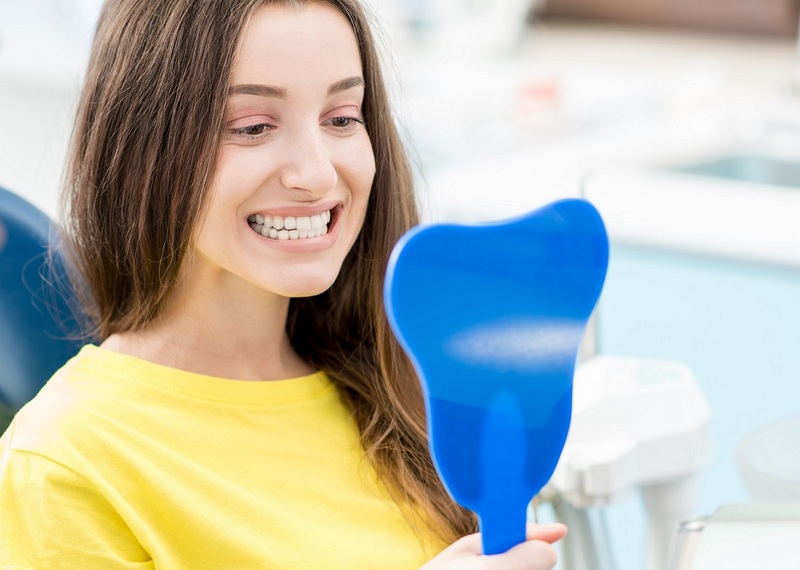 Gingivitis and cavities are two of the most well-known dental conditions, and for good reason – they’re also the two most frequently occurring dental health issues. In the case of gingivitis, however, there is much about the condition that patients don’t know or realize, even if they do have an existing case of it. For example, when it’s allowed to progress into more severe gum disease, it can systemically erode the gums, periodontal ligaments, and jawbone structure that supports your teeth. As such, severe gum disease is the leading cause of tooth loss, though you can reduce your risks of such consequences by treating gingivitis as soon as it develops. The good news is that, if you fail to prevent gingivitis, then you still have a good chance at reversing it or at least stop it from becoming more severe. For instance, your dentist can recommend periodontal cleaning (or scaling and root planing) to remove the oral bacteria that have gathered on your teeth roots. This allows your gums to heal and reattach to your teeth roots. If you experience more severe gum disease, then you may require specialized treatment from a periodontal expert. When gingivitis develops, it may affect the appearance of your gums and smile. But, the biggest concerns are what can happen when the condition is allowed to progress into more severe gum disease. To learn more about protecting your smile from gingivitis and gum disease, schedule a consultation by calling Modern Smile in North Hollywood, CA, today at 818-763-9353.